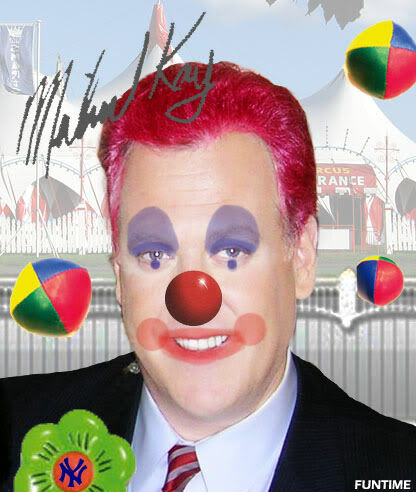 Michael Kay is ok Mike Francesa wants to be on the air and that he doesn't care who it effects. Then again he'd like to ask him how he has the compunction to take a good bye tour and kill everyone who is now going to look at his fat face as he walks to the 10th floor of 345. Peter Rosenberg, who adds nothing to the 'competition,' is happy he's back because he loves the competition. LOL. Don La Greca, shaking in his boots as he shakes his pen nervously, doesn't care about Mike. He just loves everyone else. And his move to hold his OTHER hand out is the dumbest thing you'll see today.